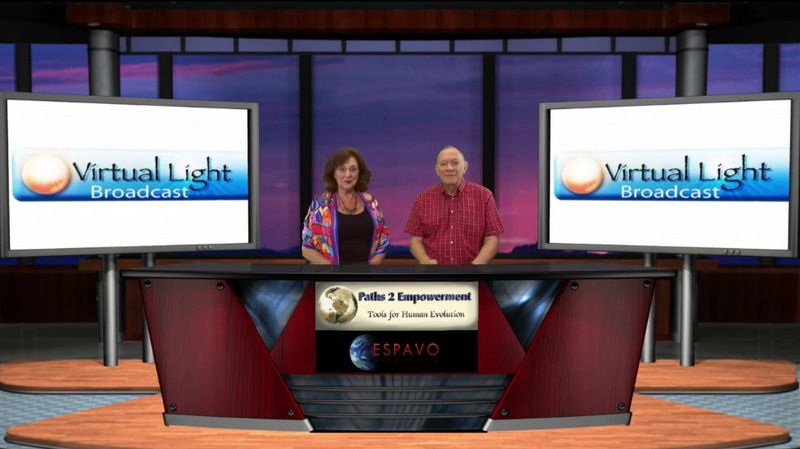 Steve and Barbara welcome you to the VirtualLight Broadcast for July 2017. Steve and Barbara make announcements about upcoming events. Also, the group revealed the dates for the coming of the third and fourth energy waves in 2017. The third wave is coming on July 28th and it will last until the end of August. The fourth wave will come on October 22nd. Sandie Sedgbeer interviews Bill Ayling. Having trained in many protocols, mainly based upon Kinesiology, Bill co-founded a company called Edutherapy, which helped thousands of children diagnosed with various learning and behavioural challenges using a unique bio-resonance Programme. In 2009, as his understanding evolved, Bill co-founded aCREATIVEspace with Tracy Smith, which uses a similar bio-resonance programme to help elevate people’s consciousness above the problem mindset, releasing the potential in adults as well their children. Bill still lives in Sevenoaks Kent. Tom is travelling in Australia having graduated last year, and Catherine, Tom’s sister, is studying drama. Bill Ayling speaks about the current situation that the world is facing which he calls “The Perfect Storm.” He then speaks about the rapid acceleration in the pace of change in our world. Welcome to the two-minute segment of the private reading portion of our show – part one. Welcome to the two-minute segment of the private reading portion of our show – part two. Hello Steve and Barbara- Is there a group of spiritual counselors/therapists located in the US, specifically Orlando FL? My friends son has been chronically depressed for many years, He is a deeply sensitive, spiritual being that is over medicated and unsupported by traditional therapy.,. I have the feeling that he would be would benefit working with a spiritually based therapist, I thought I saw a link to an worldwide organization that has a US network one of the websites of someone Sandy interviewed in April, May or June- but I have not been able to find it. Barbara- sending light to you and your family situation.